We all dream of winning the lottery. It’s the ticket—literally—out of the hustle. 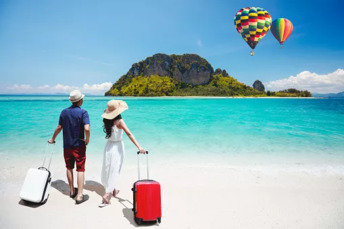 After winning the lottery, you will likely never again need to worry about rent or work; instead, you can travel to every country on your bucket list and kick up your feet in five-star hotels while you’re there. However, to avoid becoming one of the embarrassing horror stories of lottery winners who blew it all, it’s a good idea to step back and do some planning before splurging on that brand-new Porsche or round-the-world trip. Doing so will allow you to make the most out of your lottery earnings. The first precaution to take is signing the back of the ticket and keeping it safe. Taking a photo of it is also helpful. A lottery ticket is like a bearer bond, and this means that whoever signs the ticket and presents it with a legitimate photo ID is able to claim the prize money. There have been many stories of strangers, roommates, and even family members stealing winning lotto tickets, so having your signature on it will protect you in the unlikely event this kind of unfortunate thing were to happen to you. If the region where you bought your lucky numbers doesn’t insist on making your win public record, then consider setting up a limited liability or trust company to accept your winnings for you. 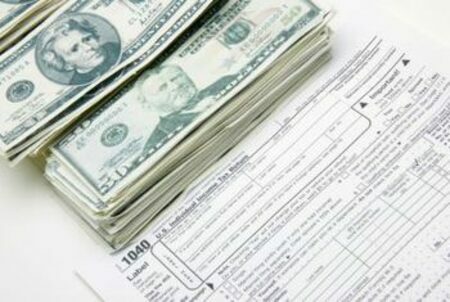 You have a certain window period before you need claim the money, and this will give you time to form one. In this way, you can escape the sudden barrage of long, lost relatives, “financial experts,” and needy hangers-on who want a share of your sudden extra cash. Hire a reputable attorney, financial adviser, tax adviser, or all three to advise you on how to deal with your new riches. Everyone’s financial situation is unique, and the professionals will be able to direct you on your best path. If your winnings are taxable, be sure not to neglect your obligation to the government in order to avoid penalties or being on the receiving end of a suit. Consult an accountant who will help you understand your options and aid you with all the paperwork associated with filing your taxes. Depending on the lottery and region you played in, you might have the option of getting your money in a lump sum or in annual instalments, called "annuity payments". Getting all your cash winnings right away could require you to cough up as much as 40% of your prize. If you want to control your spending, choosing to get it in the form of an annuity will let you pay your lottery taxes gradually over time. The bad side of the latter though is that taxes are subject to adjustments, so you might end up paying more than what you are supposed to back when you won the jackpot. This is the reason why you need an accountant to explain the benefits and repercussions of your choice. Having debt is like having a huge loading stone tied to your ankle, and debts can bubble out of control when left unchecked. It won’t be fun, but if you pay off all your debt from the get-go, you’ll immediately be free to spend the rest of your winnings as you please, without anything holding you back. If possible, pay all of them before they incur more interest. This will be a great time for you to repair your credit score if you used to have a bad credit report prior to winning the lottery. Having a good credit history will put you on a good standing with financial institutions and to every transaction that you will have to deal with. Be sure not to miss out on this opportunity. The best thing to do with your new money is to ensure it keeps making you more money. However, you have to do this in a right way, such as depositing your winnings in a bank for it to earn interest or putting some of it in bonds, stocks, mutual funds, insurance, and others. 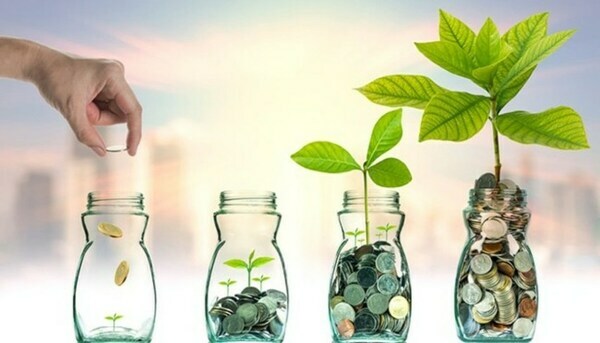 Whatever you decide, investing well can help you secure your riches for a lifetime and maybe even allow you to leave a hefty sum for your children or favourite niece or nephew. Hire a lawyer and financial adviser from a reputable firm to help you manage your money properly. They can explain to you the pros and cons of the above-mentioned investment options as well as guide you along the way should you have any concerns regarding your decision later. If you follow the above steps after you win the lottery, you'll be able to maintain a balance between enjoying the fruits of your prize and keeping some of them to ensure your financial security. That way, no matter what happens, you and your family will always have a backup. In the meantime, if you're wondering which lottery game to play, check out our list of the world's best lotteries. You never know—a life-changing fortune could be just one lotto ticket away.